Laguna Keyes - 609 Experience a comfortable, laid-back lifestyle. Expect to experience a comfortable, laid-back lifestyle in this well-positioned 3-bedroom, 3-bathroom condo in Laguna Keyes. 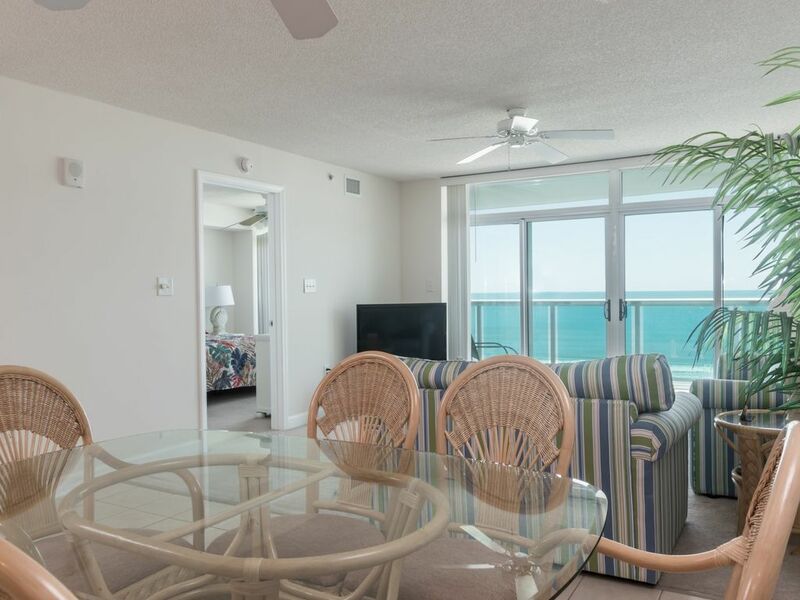 Fabulous beach and ocean views from the balcony that may be accessed from the living room and main bedroom. The condo sleeps up to 10 people, with a king-sized bed in the main bedroom and 3 queen-sized beds in the other two, plus a sleeper sofa in the living room. The fully-equipped kitchen features a double-door refrigerator with ice and water dispenser as well as a dishwasher. There is a separate mini-laundry with a stacked washer/dryer. Big screen TV and another in the main bedroom plus a DVD player. 2 parking places available. Laguna Keyes is in the Cherry Grove area of North Myrtle Beach and it offers some great amenities including oceanfront swimming pools, kiddie pools, a heated indoor pool, lazy river, and 2 spas, as well as a private exercise center. Stay in or swim out!